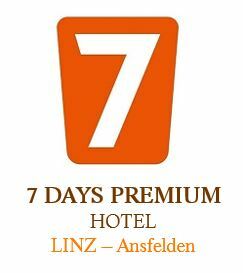 The modern and well designed 7 Days Premium Hotel Linz-Ansfelden is located just off A1 motorway in Ansfelden and therefore well located in terms of traffic. In 15 minutes you can reach the city centre of Linz where you can enjoy the flair of the European Capital of culture of 2009. 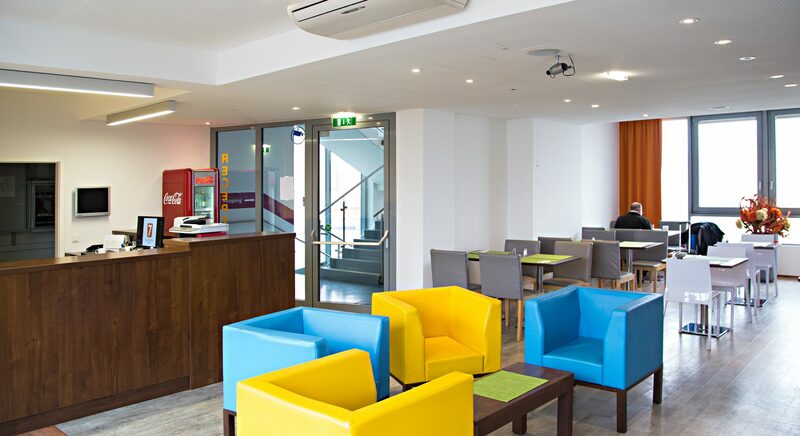 All 100 comfortable non smoking rooms with double bed and full-size bunk bed above are designed in light and fresh colors and equipped with bathroom with shower and hair dryer, adjustable air condition, cable LCD TV as well as free wifi. Each room can accommodate up to 3 guests. 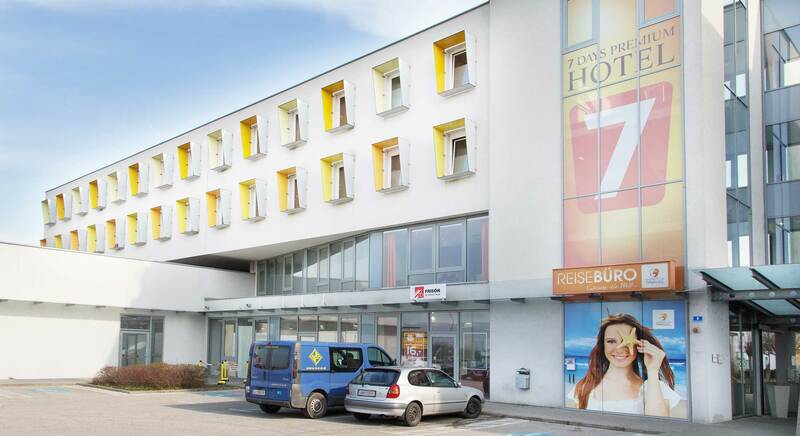 Additionally, the hotel offers free parking in it’s own garage and a rich continental breakfast buffet in the morning. Pets are welcome for an extra charge. The reception is staffed from Monday till Friday 8:00 a.m. – 10:00 p.m. and on Saturday, Sunday from 08:00 a.m. – 08:00 p.m. There is a supermarket and restaurants directly in front of the hotel, where one can have a lunch or dinner in the evening.